Nick Jonas stars in the upcoming film, 'Goat,' which is partnering with HazingPrevention.org. HazingPrevention.Org will host a series of college screenings of the new feature film Goat as part of its efforts to empower people to prevent hazing. 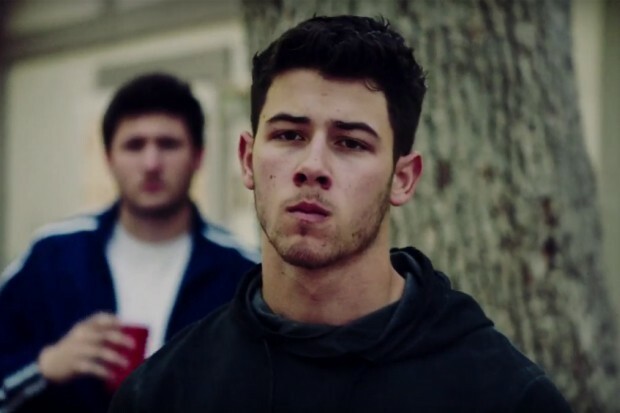 Starring Nick Jonas, Ben Schnetzer and James Franco, and based on the memoir by Brad Land, Goat tells the story of two brothers who become embroiled in hazing at a college fraternity. What occurs in the name of ‘brotherhood’ tests both boys and their relationship in brutal ways. Directed by Andrew Neel, the film received wide acclaim at the Sundance Film Festival and will be released in select theaters nationwide, On Demand and Digital HD on September 23rd by Paramount Home Media Distribution. The Goat educational program will coincide with the organization’s National Hazing Prevention Week, which runs from September 19th through September 23rd . Each screening event will be accompanied by a thought-provoking, facilitator-lead discussion about the film and the impact of hazing on college campuses. Reeling from a terrifying assault, a 19 year-old boy enrolls into college with his brother and pledges the same fraternity. What happens there, in the name of “brotherhood,” tests the boy and his loyalty to his brother in brutal ways. Goat stars Ben Schnetzer, Nick Jonas, Gus Halper, Danny Flaherty, Jake Picking, Virginia Gardner and James Franco. HazingPrevention.Org™ is a national organization dedicated to empowering people to prevent hazing, by providing education and resources, and building partnerships with others. Major initiatives of the organization include National Hazing Prevention Week™, the Novak Institute for Hazing Prevention™, and educational courses that touch the lives of thousands of individuals, organizations, campuses and communities.